AeroCare is a CAMTS accredited fixed-wing program, adhering to the rigorous guidelines and standards demanded by this elite organization; an honor that very few private air ambulance companies retain. In 2011, AeroCare was named the AAMS Fixed Wing Program of the Year. Unlike some air ambulance providers, AeroCare owns/leases/operates all of its aircraft, with pilots and medical crew trained for our specific aircraft and mission. We are committed to providing exceptional care and service for our patients, and as a case manager, we make your job easier by handling every aspect of your patient transport, in a manner that you can put your utmost confidence in. When you call for services you are getting a team of professionals highly trained behind the scenes that are familiar with the company’s mission and values and operate at the highest level of safety. AeroCare will diligently plan and execute all aspects of the medical air transportation process, saving you time, and relieving the worry and stress that patients and their families often encounter. 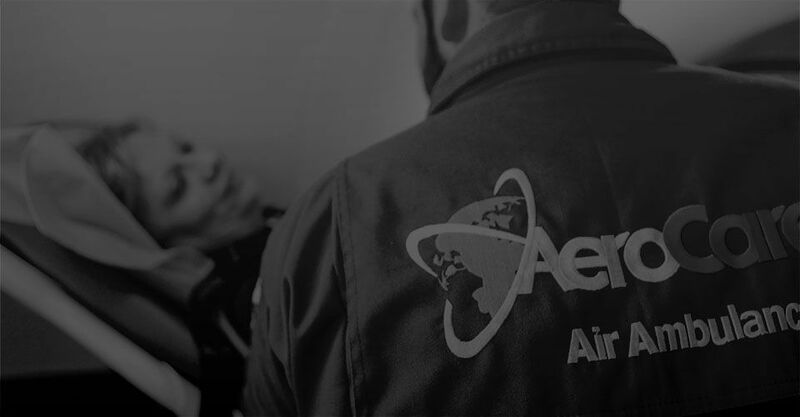 Once you have used AeroCare’s services, we know that you will return, simply for the peace of mind that your patient was cared for and transported by the most committed and experienced provider in the world. Call us today, and find out why AeroCare will be your first choice when you need an air ambulance company you can trust and rely on.